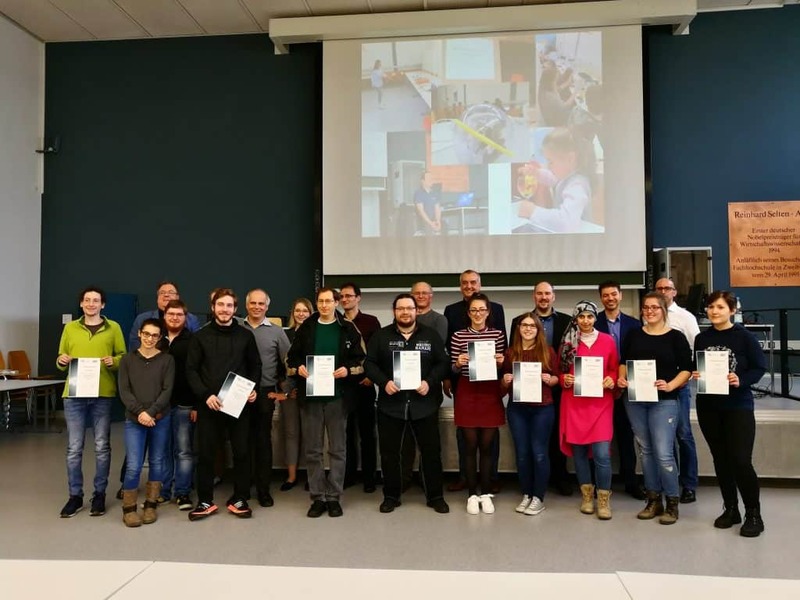 After being noticed from the great Hocheschule Kaiserslautern during CEBIT 2018, we were invited to HACKATON to assist the contest. In this competition were involved, above all, collaborative robot with gesture controller. To support contestants were used our Tactigon devices . German students with our CEO. What’s a Hackaton? Also known as Hack day or Hackfest, is an event in which experts from different fields of computer science participate: software developers, programmers and graphic designers. A Hackaton generally has a variable duration between one day and one week and can have various work, educational, social aims. Besides this parenthesis about Hackaton, now we can talk about robots. There’s fundamentally two macro categories of robot: Collaborative robots and Swarm robots. First of all, these two examples of advanced technology are quite different between them: a Collaborative robot is a system made up by single agents which are able to accomplish meaningful tasks on their own without any external support. A Swarm robot, in contrast, present simple behaviours but as you can mean from its name, its strenght is in the number. In fact Swarm robots are simple system but in large number they can lead to complex behaviours. Now we will consider an experiment in which were involved a collaborative robot. 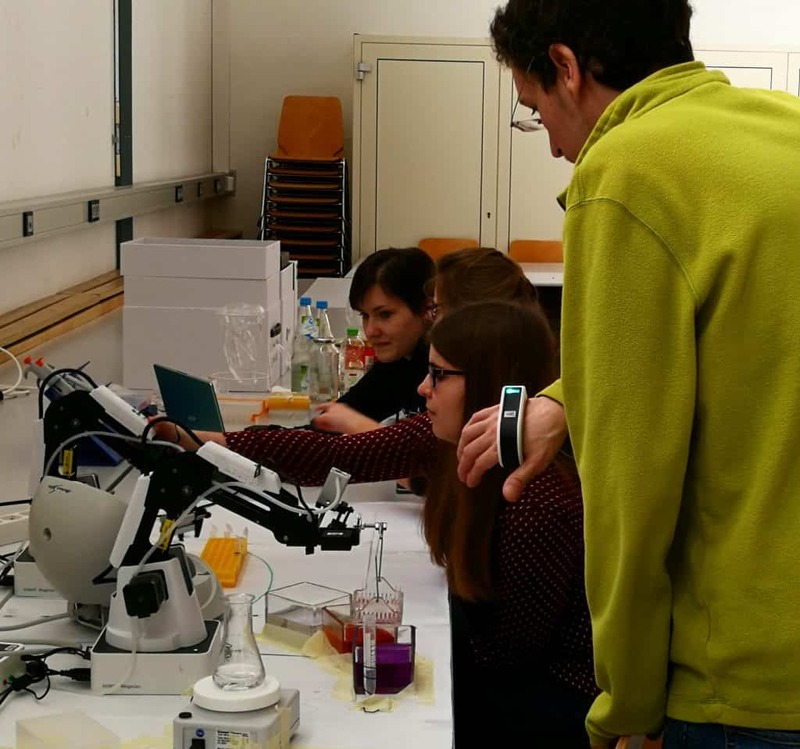 Therefore, from 25 February to 2 March we have had the possibility to collaborate with teachers and students from Kaiserslautern’s uninversity at something that can improve few medical trials, for example. The purpose of this project was to teach an Artificial Intelligence by movements sequences and 3D gestures of a human hand to approach to Industry 4.0. Going that way, robotics could also be used in small series production or in SMEs, where a “programmed” robot simply doesn’t pay off. More in particular, during this test, german students have piloted a collaborative robot named Robot Dobot. It was coordinated to our Tactigon Skin hand band to make it hook a sample that needed to be dip repetitively into different solutions. Trials like this could be very demanding in time spans, and that’s the reason why we’re working to teach an Artificial Intelligence to learn and repeat autonomously a sequence of movements. This because if there were the opportunity to leave simply but also binding tasks to robotic devices or AI, doctors would have more time to concentrate on research. Our objective is to make these systems independent in their hypothetical work’s areas, to let humans go on with drafts and studies . German students did a great work: they were so nice and competent! It has been a pleasure to collaborate and support them with our Tactigon devices. We really enjoyed this experience and can’t wait to partecipate at Hackaton 2020!